Washed Sidamos are typically high quality coffee with unique flavors like sweet lemon and floral, and an ideal balance between acidity and body. Sometimes this type can be compared favorably with coffee from the Yirgacheffe region. 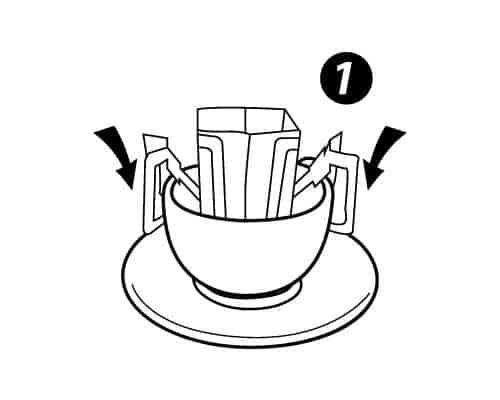 Open the drip bag, stretch both hangers and clip it to the cup. 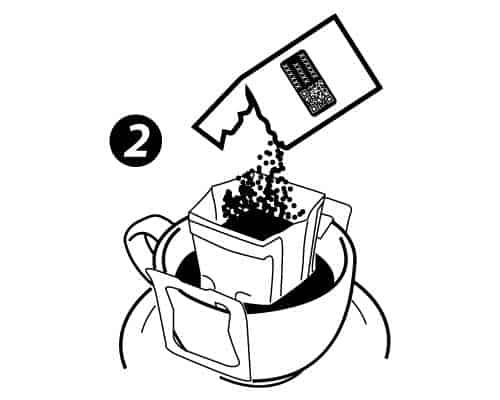 Tear the sachet and pour coffee powder into the drip bag. 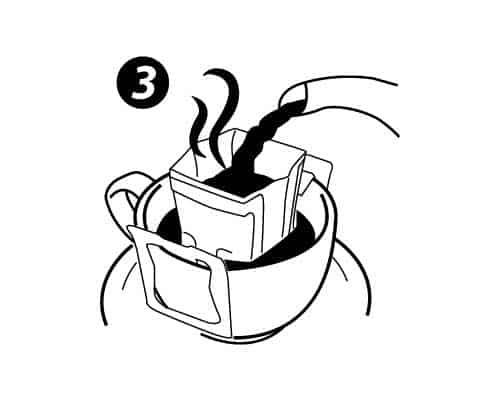 Pour in hot water to 1/2 full and let it drain completely.